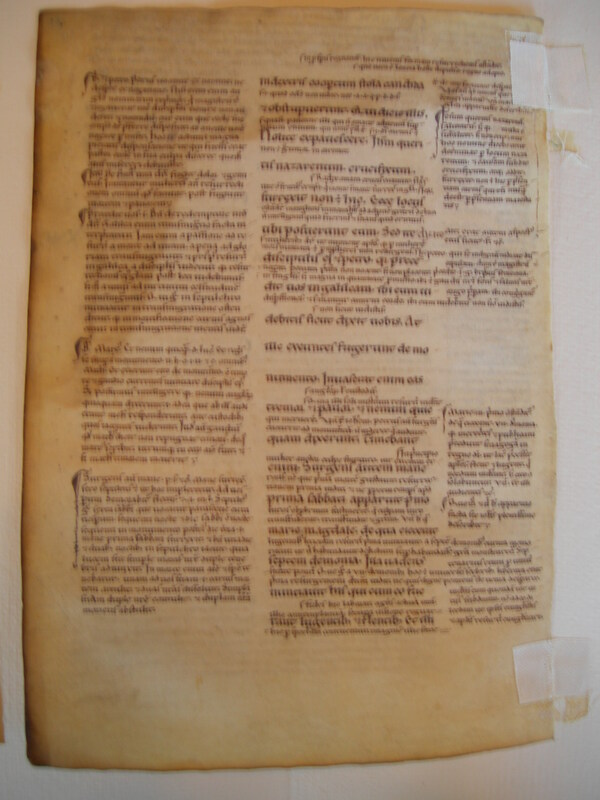 Described by Ege as early 12th century Swiss, this leaf is from a New Testament with glosses by church fathers including Bede, Jerome, and Gregory. 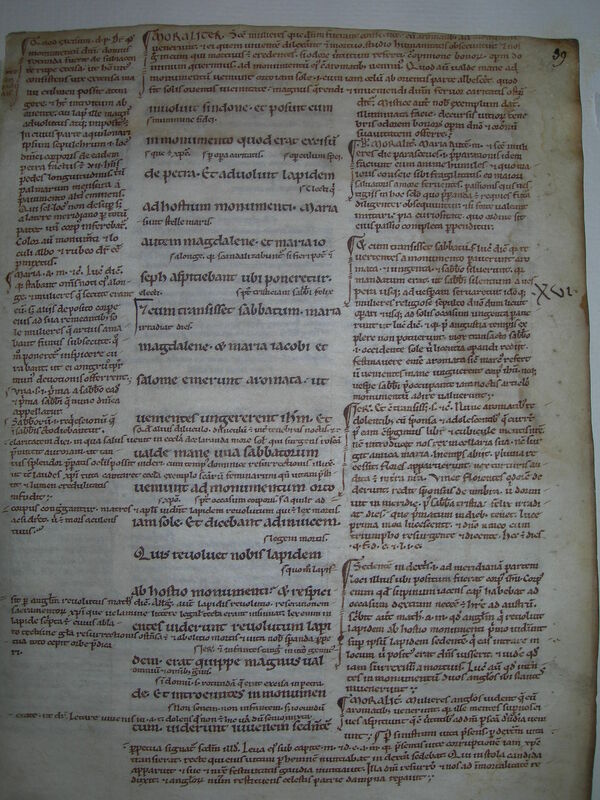 The primary script is Carolingian, with one of the glosses in a minuscule very similar to that in Leaf 04. The gloss hands are different from both one another and from the Biblical text, and the Carolingian gloss hand has decorative brackets setting apart each section. See Denison University Leaf 01 for more information on this manuscript. Text: Mark 15:46-16:5 (recto) and 16:5-11 (verso). Glosses not yet identified.